Throughout their entire life, home owners may only purchase one roof replacement. Since a roof replacement is such a rare decision, home owners must be informed decision makers. 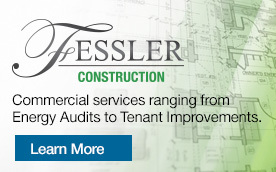 At Fessler Home Improvement and Construction, a Nashville area roofing contractor, we are committed to providing our customers with a simple and trusting roof replacement process. An experienced Middle Tennessee roofing contractor. 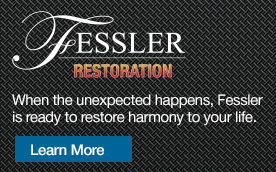 When you work with Fessler Home Improvement and Construction for your roof replacement, repair, and installation, you’ll be treated with patience, respect, and care by the area’s most trusted roofing contractor. 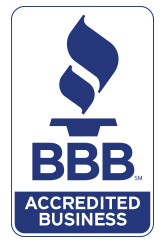 We are proud to offer all of our loyal customers a five-year warranty on all of our home improvement and roofing work. By choosing our roofing company, you’ll receive an experienced installation team of roofing professionals, and a brand new roof completed in time and on budget. Throughout your roofing project, our project managers will work directly with you to promptly address any situation that may arise or concern you may have. In addition, Fessler Home Improvement and Construction works with only the highest quality roofing products, including Certainteed, GAF, and Atlas Roofing Systems. We choose these products so our customers can enjoy the highest possible quality roof on their Murfreesboro, TN home or building. When you choose to work with the roofing contractors at Fessler Home Improvement and Construction, you can have peace of mind knowing that you are receiving superior craftsmanship, professional project management, and a brand new, top quality roof. In addition to residential roofing projects, we are also Middle Tennessee’s commercial roofing contractors. If your business or building is in need of a new roof or roof repair, contact one of our representatives for a free roofing consultation today. When you need a new roof, or your current roof needs to be repaired, call the roofing contractors at Fessler Home Improvement and Construction at (615) 217-4907. We look forward to helping you with all of your roofing needs! Contact us TODAY for your complimentary roof Inspection!